Smart Kids with Learning Disabilities is pleased to announce a workshop for parents, professionals, and teachers with Andrea Greer Silvia on the Orton-Gillingham Approach to Reading, the foundation of research-based, multisensory, structured language instruction on Thursday, January 24 at the Hyatt Regency, 1800 E Putnam Ave., Old Greenwich, CT, from 9:30AM to 12:30 PM. Do you have a child or student who struggles with learning to read, write and spell? Smart Kids with Learning Disabilities is pleased to announce a workshop for parents, professionals, and teachers with Andrea Greer Silvia, an expert reading instructor and Fellow of the Orton-Gillingham Academy on Thursday, January 24 at the Hyatt Regency, 1800 E Putnam Ave., Old Greenwich, CT, from 9:30 AM to 12:30 PM. The ticket price of $60 includes refreshments. Join us for a hands-on, practical, interactive presentation with Andrea Greer Silvia. Participants will be introduced to the Orton-Gillingham approach to teaching students with language-based learning disabilities, including the development of the Orton-Gillingham method and its practical application in academic settings. In addition to discussing its components, Ms Silvia will provide specific guidance on how teachers and parents can integrate the Orton-Gillingham approach into academic, tutoring and homework settings. She will discuss the Orton-Gillingham training process, and will comment on specific instructional programs and methodologies currently used in schools such as S.P.I.R.E., Preventing Academic Failure, Wilson, Lindamood-Bell, Words Their Way, Hampton Brown and other programs. This workshop is designed for parents, administrators, teachers, attorneys, advocates, psychologists, and others. Andrea Silvia, Esq, has been in private practice as a reading specialist, teacher trainer, tutor, attorney, and advocate since 1996. She is an Orton-Gillingham Reading Coach in the Greenwich, CT, public school system where she has trained over 50 teachers in 15 schools, and has taught in elementary schools in Connecticut, New York, and Rhode Island. She is a member and fellow of the Academy of Orton-Gillingham Practitioners and Educators, on the professional advisory board of Smart Kids with Learning Disabilities, on the Alumni Board of Rye Country Day School and a consultant for the Sally Borden Program at Friends Academy in Westport, CT. Ms Silvia has lectured nationally on various topics related to dyslexia, the law, advocacy and the Orton-Gillingham approach. Andrea Silvia, Esq. received her B.A from the University of Michigan, her M.A in Curriculum and Teaching from Columbia University Teachers College and her J.D. from Seton Hall University School of Law. She was admitted to the New York Bar Association in 1996, and holds a New York State Teacher Certification in Grades K-6 and the State of Connecticut Initial Educator Certification. To reserve your ticket for this Workshop on Thursday, January 24 at the Hyatt Regency, 1800 E Putnam Ave., Old Greenwich, CT, from 9:30AM to 12:30 PM ($60, includes refreshments), please register at http://www.smartkidswithld.org/smart-kids-programs. 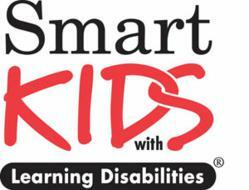 Smart Kids with Learning Disabilities, Inc. is a Westport, CT-based nonprofit organization dedicated to empowering the parents of children with learning disabilities and ADHD via its educational programs, website, and free e-newsletter available at http://www.SmartKidswithLD.org. Henry Winkler, Golden Globe award-winning actor, director and author, serves as the organization’s Honorary Chairman.